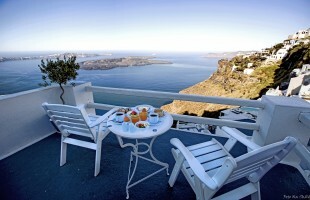 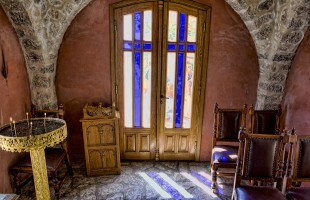 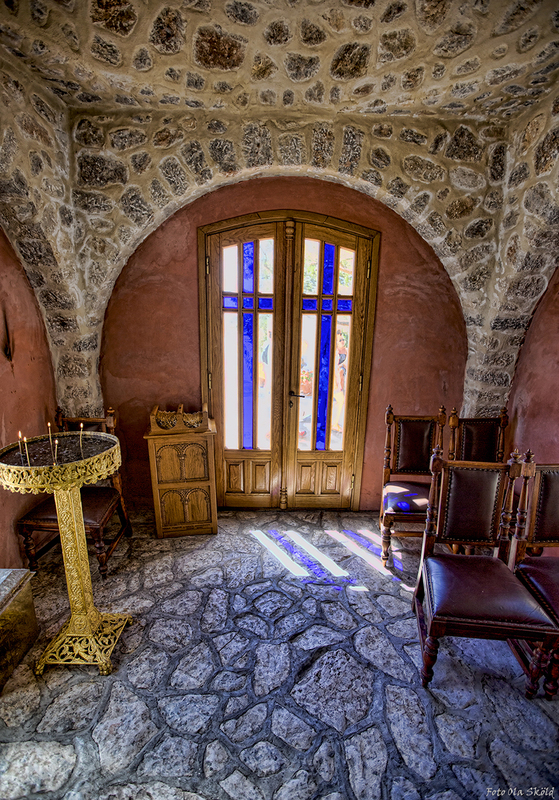 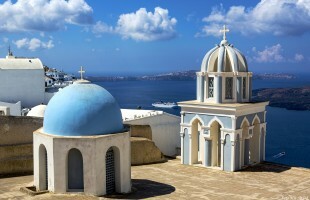 Santorini is a real gem of the Greek islands! 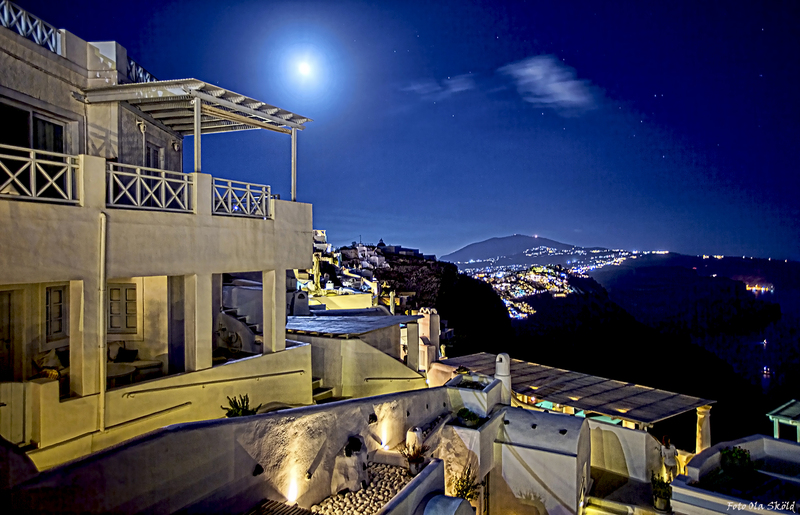 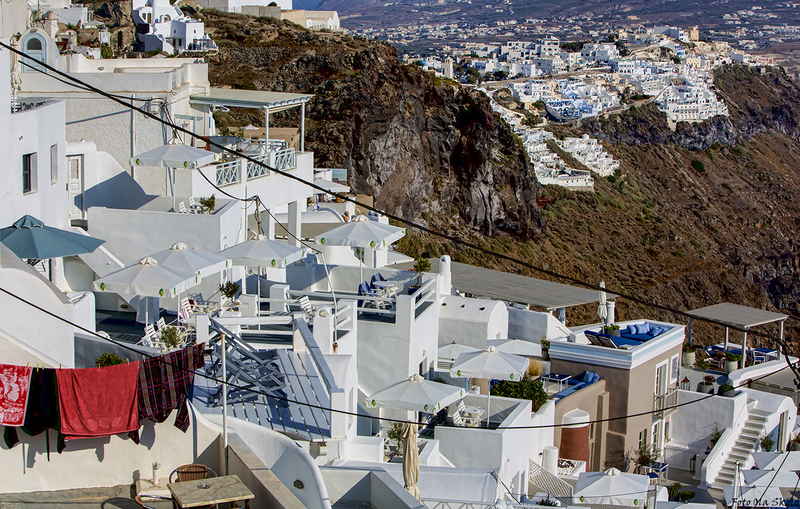 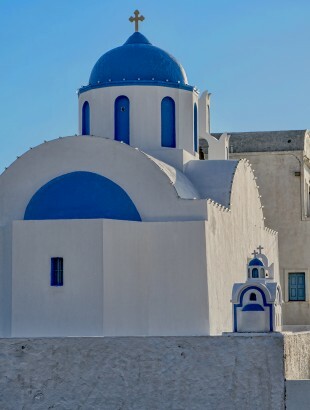 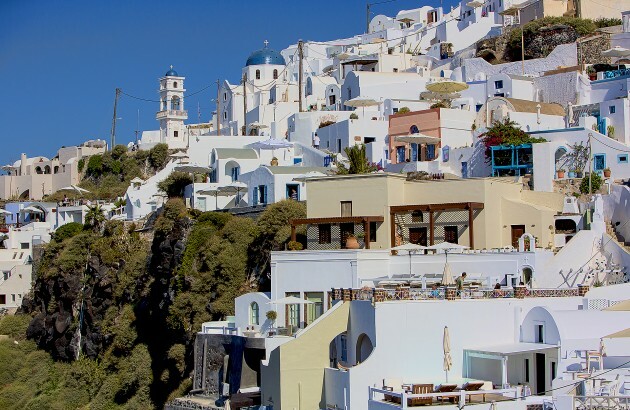 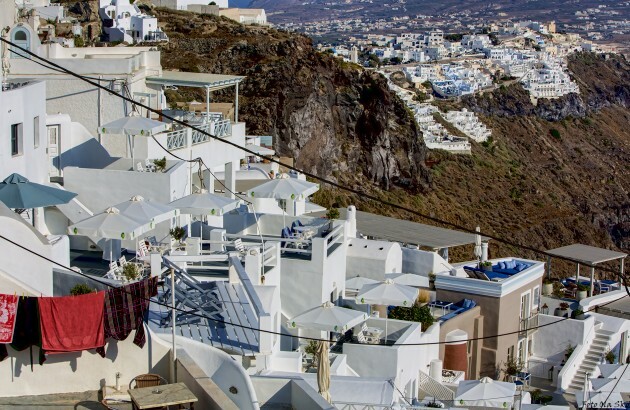 Most famous is probably the towns of Oia and Fira, both composed of simple white and blue lime plastered small houses adapted to the rock formations on the site. 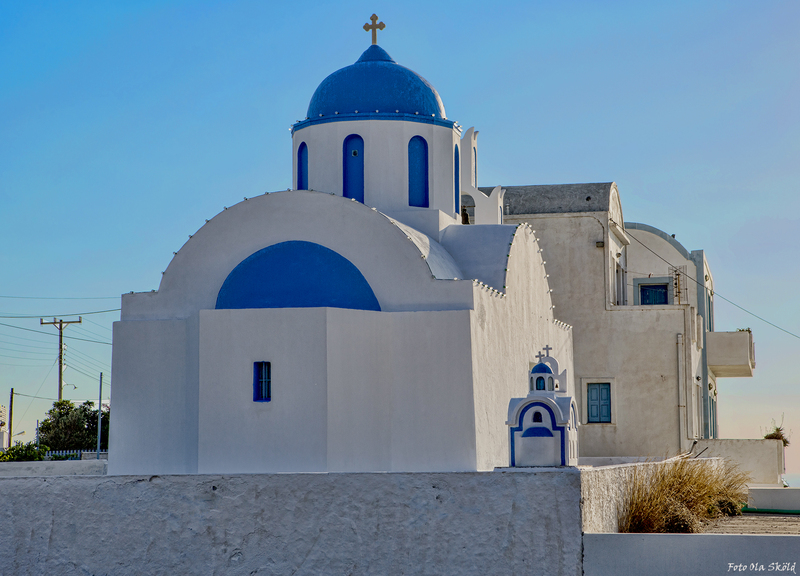 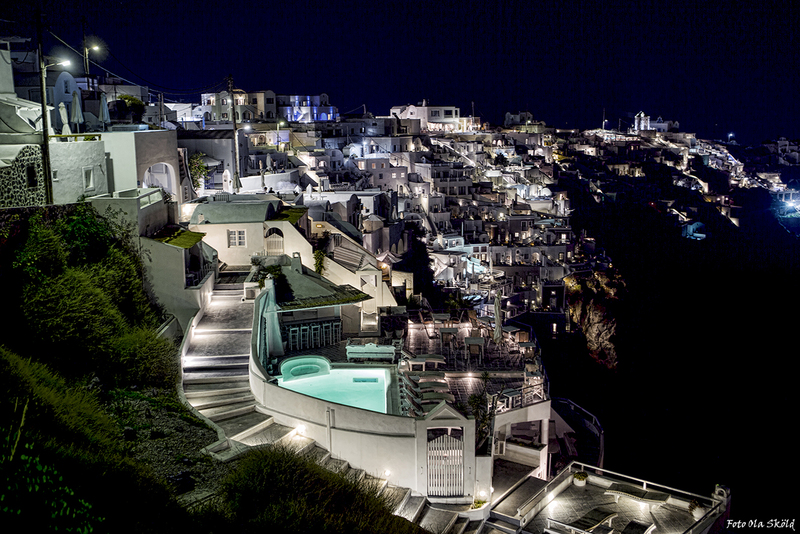 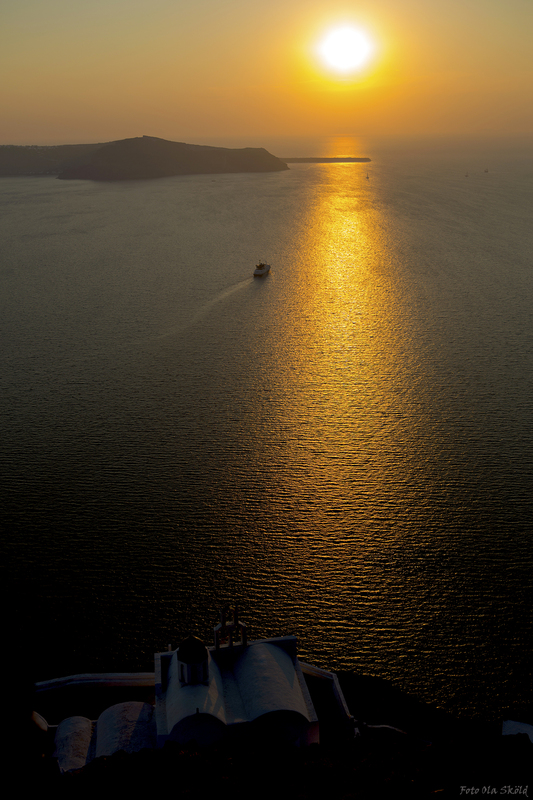 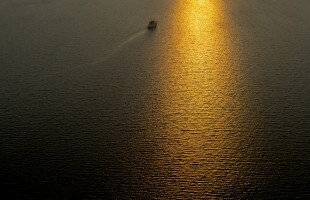 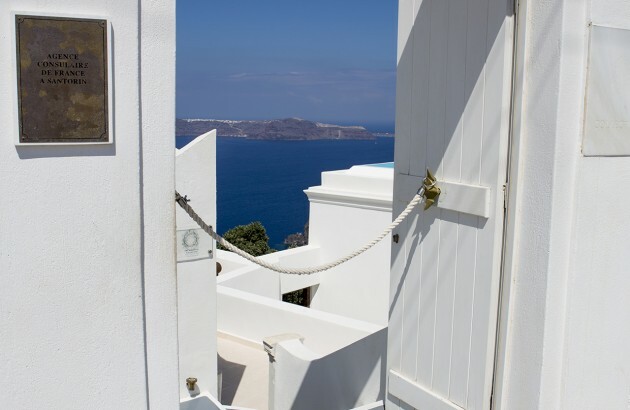 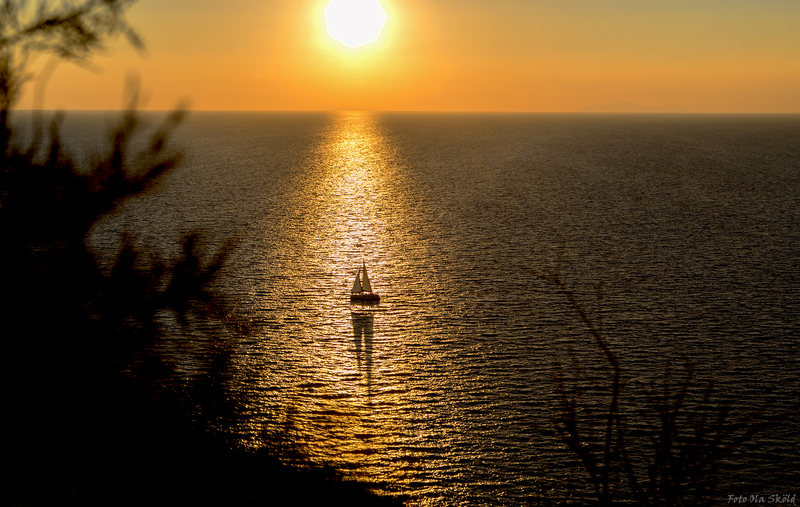 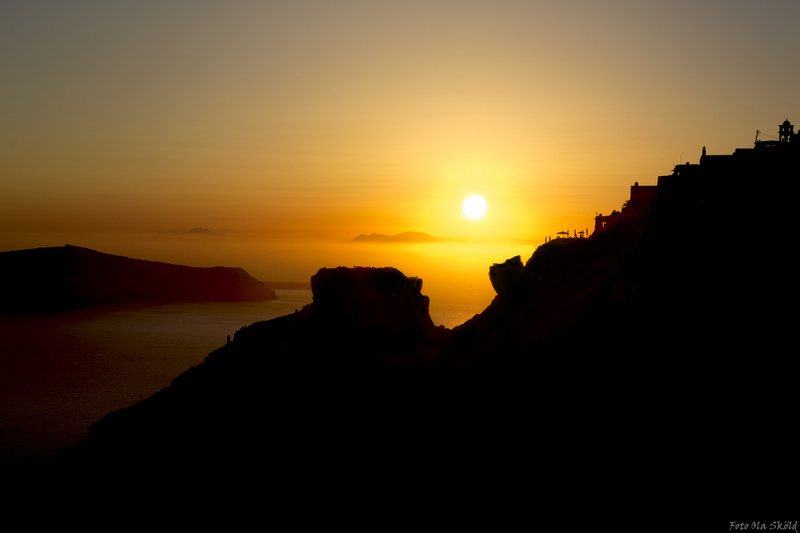 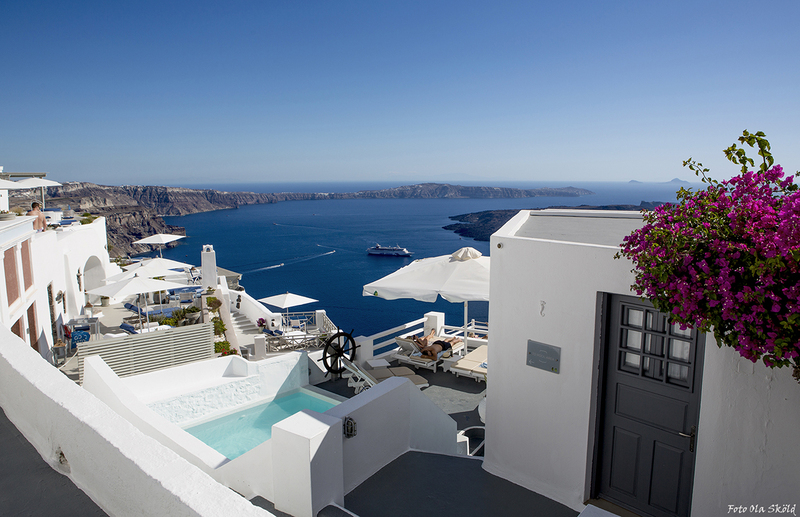 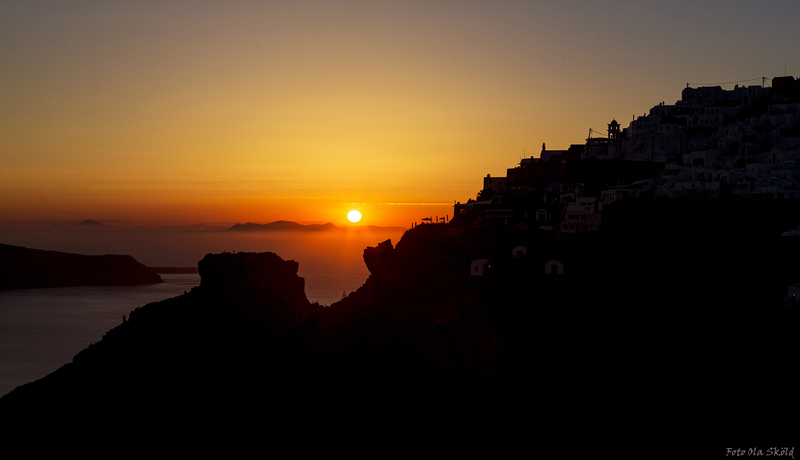 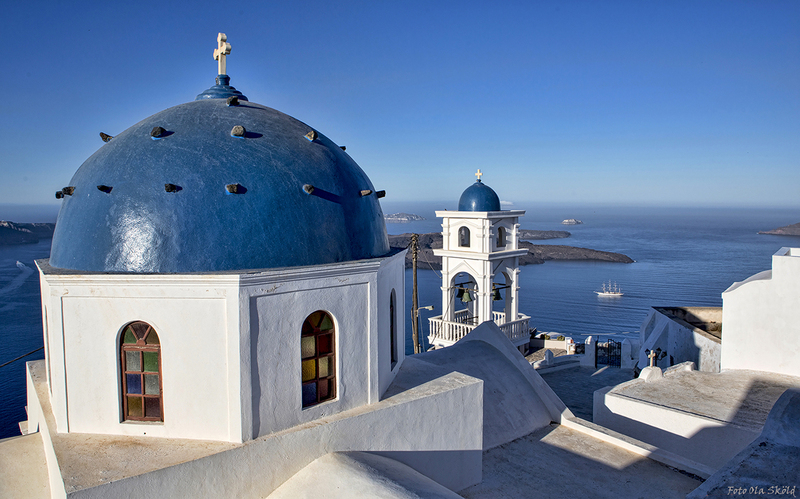 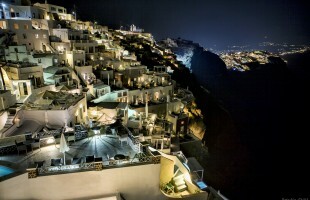 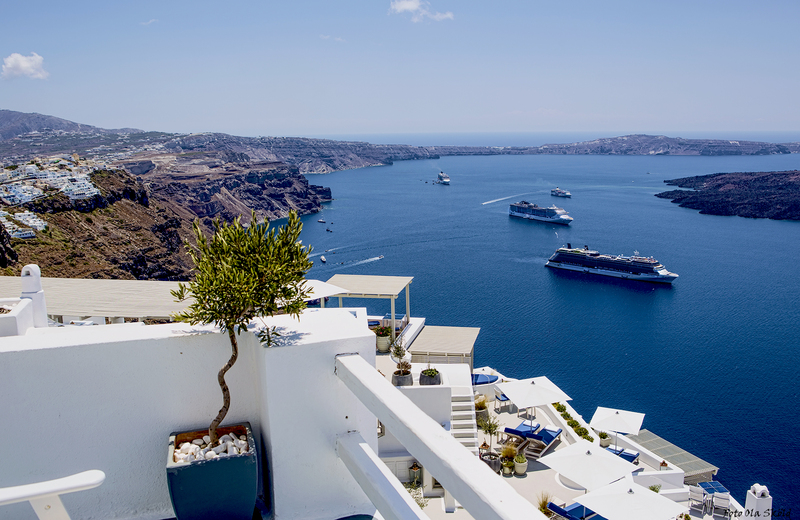 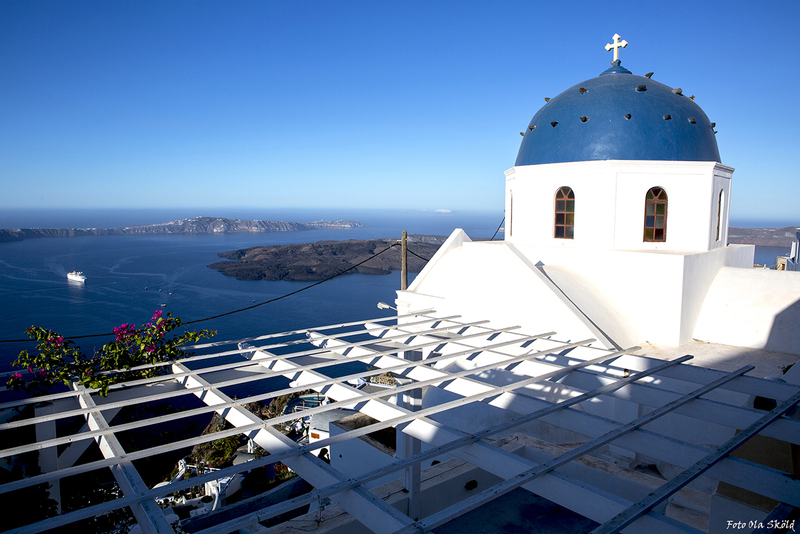 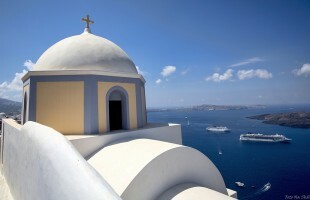 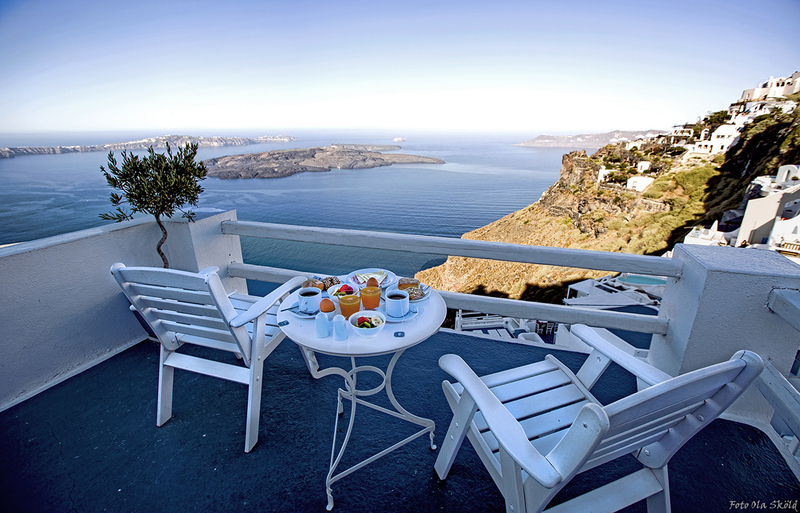 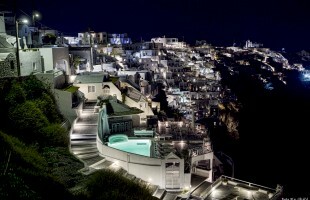 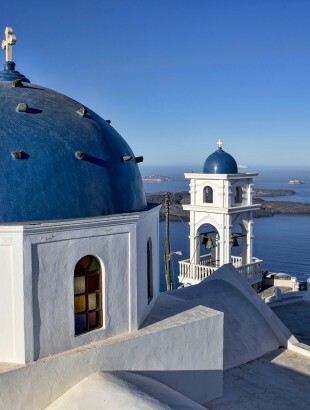 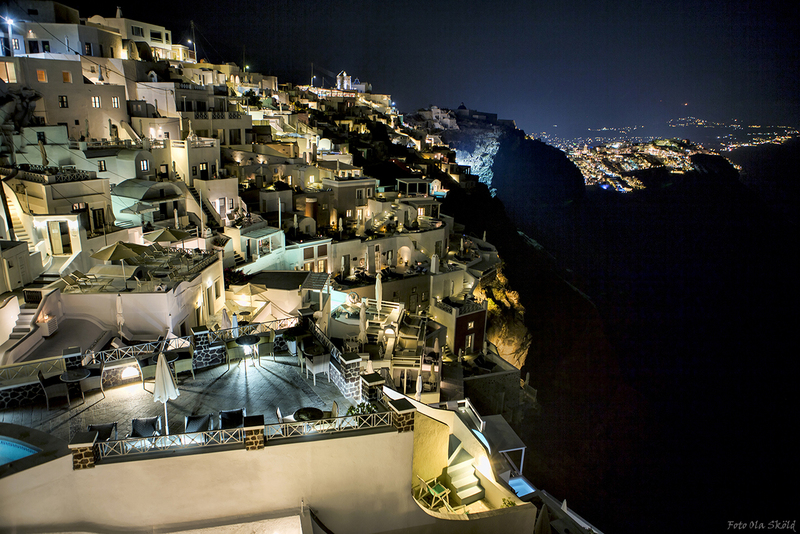 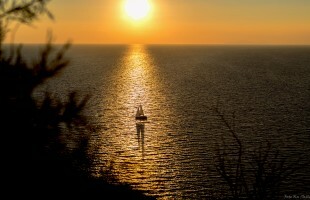 Oia is famous for the stunning sunsets atop the island´s northern tip, which draws large crowds every day. 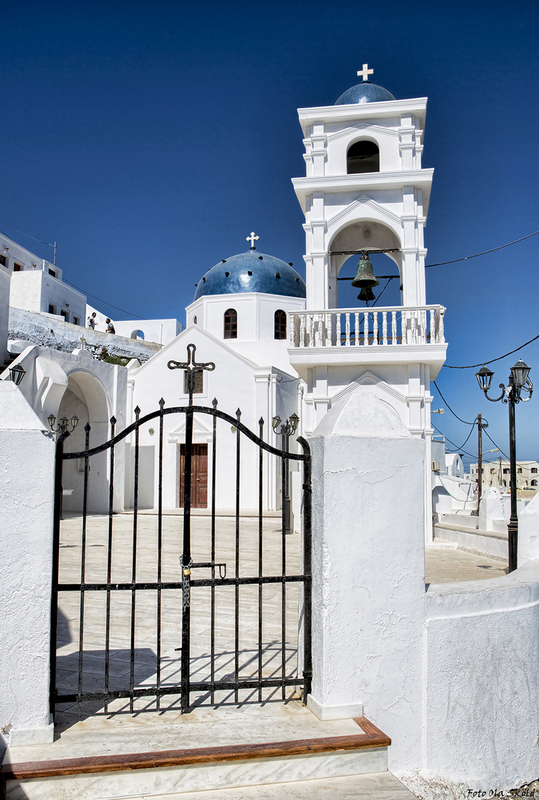 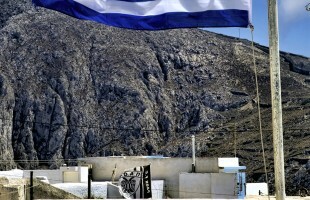 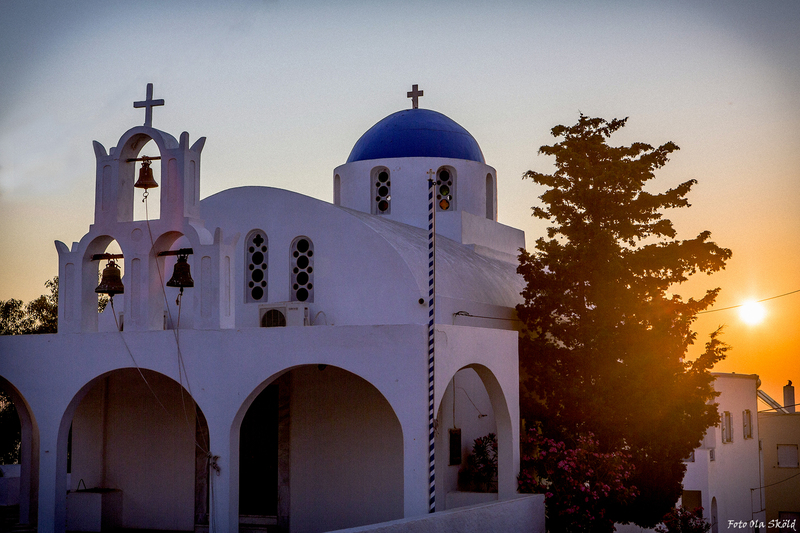 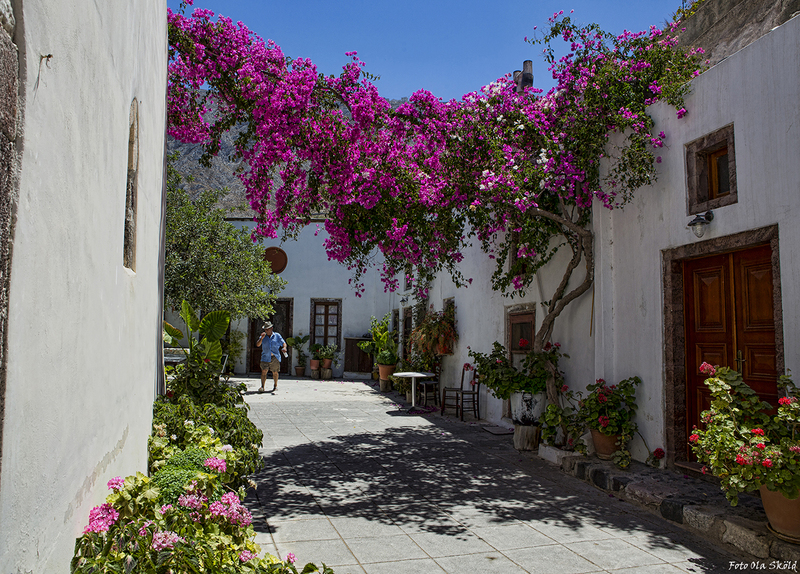 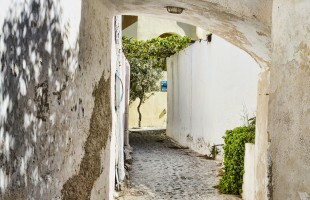 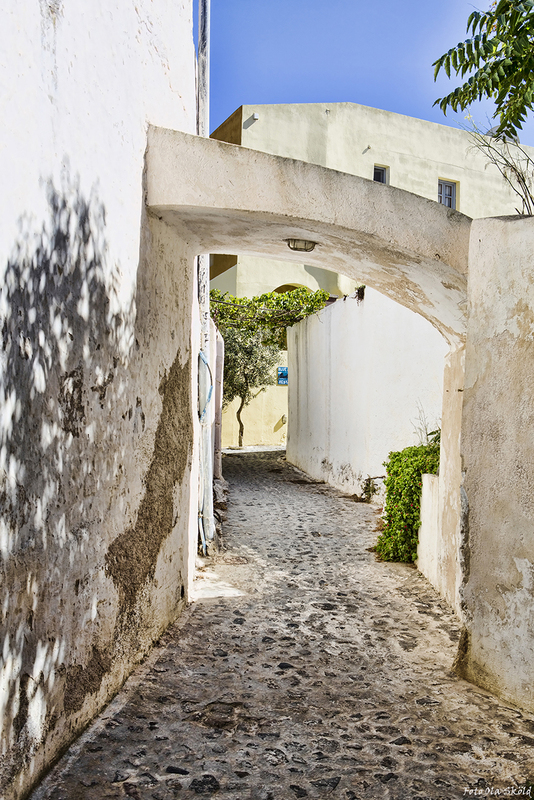 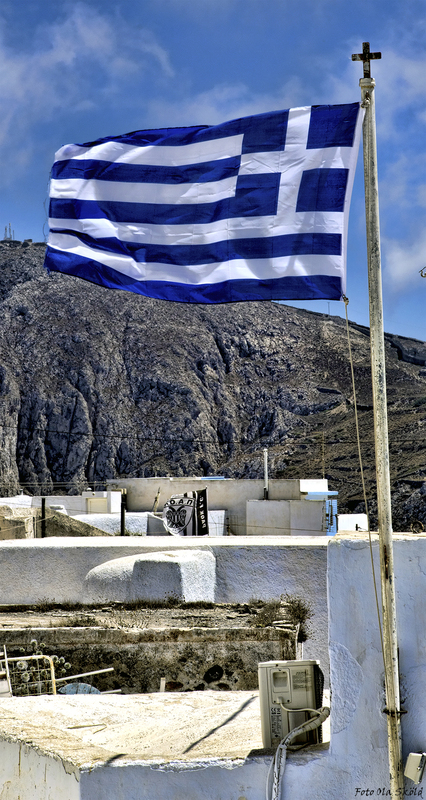 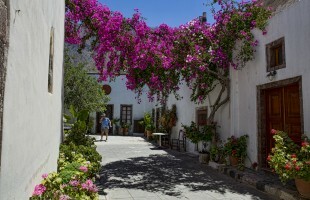 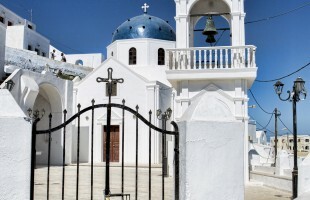 Imerovigli is a beautiful town in the middle of the island and built on top of the rocks! 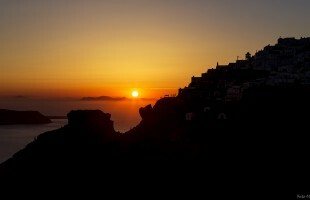 In the bay below these rocks there are always tourist ferries anchored in this beautiful setting to visit Fira (“the capital” of the island), and to enjoy the sunset. 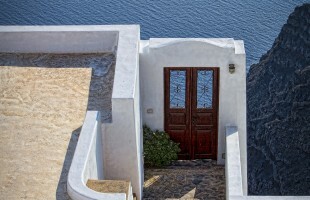 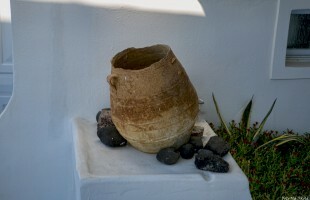 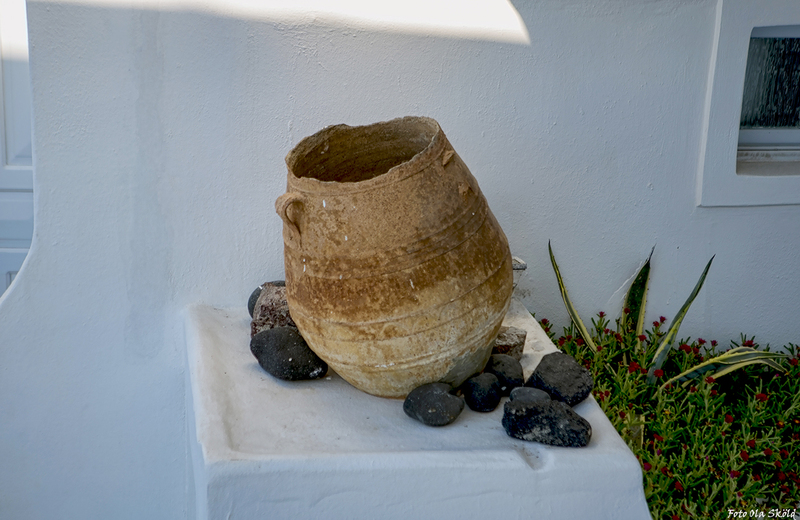 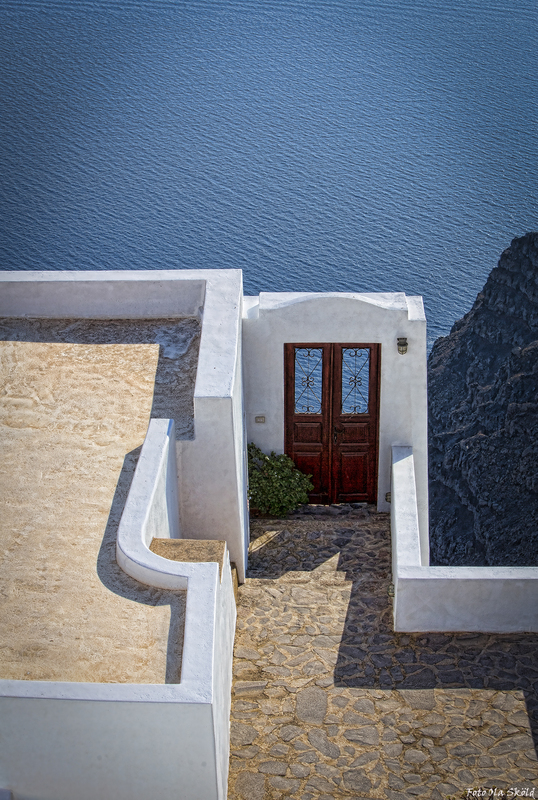 These vessles lays between Fira, Imerovigli and the active volcanic island out in the bay. 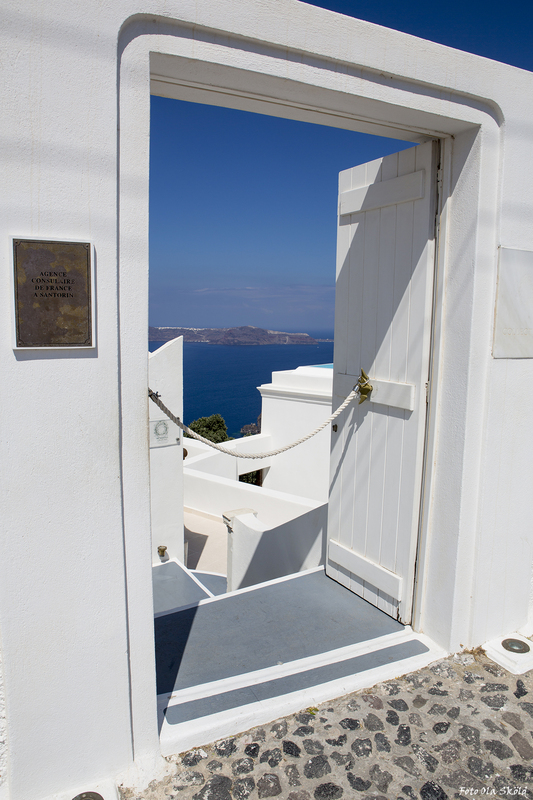 That way they have free sight of the sunset all the way up to Oia.